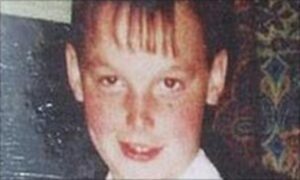 The jury at the second inquest into the death of 14 year old Adam Rickwood in Hassockfield Secure Training Centre in County Durham on 8 August 2004 today returned a damning narrative verdict criticising failings by Serco, the private company running Hassockfield, the Youth Justice Board, Prison Service restraint trainers and the Lancashire Youth Offending Team. Nothing can bring Adam back. I have waited over six years for truth and justice. All I have ever wanted is to find out the truth about what happened to my son and for those responsible for unlawful assaults to be held to account. It has taken a six year legal battle, including a flawed first inquest and three judicial reviews (one of which went to the Court of Appeal), to finally expose the numerous failings and illegal treatment that Adam, and many other vulnerable children in privatised child prisons, have suffered. This is a vindication of the battle by Adam’s family for the truth against a background of denial and secrecy by the Youth Justice Board and Serco. That thousands of vulnerable children were systematically subjected to unlawful restraint in privatised child prisons – and that none of the regulatory or inspection bodies of the state did anything about it – is shameful. The public scrutiny finally afforded by this properly-conducted inquest into Adam’s tragic death has highlighted serious failings in the way the state treats children in conflict with the law. The government must now respond and implement meaningful changes in order to safeguard lives in future.